Humble ISD Superintendent Dr. 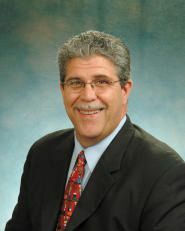 Guy Sconzo has been chosen to represent Texas in the 2007 National Superintendent of the Year Program. A Texas Association of School Administrators committee selected Dr. Sconzo for the honor based upon the criteria of leadership for learning, communication, professionalism and community involvement. As the state nominee, Dr. Sconzo will be honored in March during the American Association of School Administrators National Conference on Education in New Orleans. A national winner will be announced at that time. The program is co-sponsored by the American Association of School Administrators and ARAMARK. Dr. Sconzo is indeed most worthy to be named National Superintendent of the Year, Johnny L. Veselka, executive director for the Texas Association of School Administrators, said. Dr. Sconzo has been Humble ISD superintendent since 2001 and has more than 30 years of experience in education. During his tenure with Humble ISD, voters have approved $572 million in school facility bonds and the district has opened four new elementary schools and a new high school. Humble ISD has grown by more than 6,000 students. Continued growth and additional schools are planned for the future. Dr. Sconzo is known for his inclusive working style, rapport with teachers, students, parents and community members, and tireless work ethic. As an effective communicator, Dr. Sconzo was one of four superintendents in the state chosen to testify in a landmark school finance case. His local community involvement includes serving as Humble Area Chamber of Commerce Board Chairman, Flaming Arrow District of the Boy Scouts of America Chairman and Northeast Medical Center Hospital Board Member. He also is a past member of the Lake Houston Family YMCA Advisory Board. Before coming to Humble ISD, Dr. Sconzo served as interim superintendent of Oklahoma City Public Schools. He also has been an associate superintendent, middle school principal and English teacher. He earned a bachelors degree from Wagner College, a masters degree from New York University and a Ph.D. from Ohio State University. He and his wife, Diane, have two grown children, Michael and Jennifer. HUMBLE More than half of Humble ISD campuses have been named exemplary or recognized schools under the states accountability system. The state released official accountability ratings on Aug.1. Eighteen out of 29 schools received exemplary or recognized ratings. Eleven schools received an academically acceptable rating. Humble ISD, as a district, also received a rating of academically acceptable. No Humble ISD campuses were rated unacceptable in 2006. I am very excited about the results weve seen with years state accountability ratings, Superintendent Guy Sconzo said. Sconzo noted that the district saw gains in 23 out of 25 areas measured by the accountability system. Named as exemplary schools were Elm Grove Elementary, Greentree Elementary, Hidden Hollow Elementary, Shadow Forest Elementary and Willowcreek Elementary. Elementary schools to receive the recognized rating were Bear Branch Elementary, Deerwood Elementary, Foster Elementary, Maplebrook Elementary, Oaks Elementary, Oak Forest Elementary, Pine Forest Elementary, Timbers Elementary and Woodland Hill Elementary. At the secondary level, Kingwood Middle, Creekwood Middle, Riverwood Middle and Quest High also were named recognized schools. Elementary schools to receive an academically acceptable rating were Fields Elementary, Humble Elementary, Lakeland Elementary, North Belt Elementary, Summerwood Elementary and Whispering Pines Elementary. Secondary schools receiving the acceptable rating were Atascocita Middle, Humble Middle, Timberwood Middle, Humble High and Kingwood High. The ratings are based on numerous criteria including student performance on the Texas Assessment of Knowledge and Skills tests. The tests measure students understanding of reading/English language arts, writing, social studies, science and math. The rating system considers not only the performance of the student body as a whole, but also the performance of student groups. Student groups include African-American, Hispanic, White and Economically-Disadvantaged students. Schools often meet the passing rate overall for an exemplary or recognized rating while falling short of meeting the passing rate for every student group. Other criteria used in the rating system includes the performance of students on special education tests, middle school drop out rates and high school completion rates. The accountability system is one tool school districts use to focus on areas for improvement. For more information about Humble ISD ratings, visit the Office of Accountability pages. Ratings for all public schools in Texas can be found at www.tea.state.tx.us.